How would you sum up your AmeriCorps service in just six words? Tweet your 6 word summary using #MyServiceIn6 or post a photo on Facebook and Instagram using the sign below to write the six words that highlight your service experience. You can share 6 things you learned from your service, 6 things you did during AmeriCorps, or a phrase that celebrates how your service impacted your life. We’ll be sharing your 6 words on social media and all throughout the Conference next Thursday at the Service Café, located in room 102AB at the Walter E. Washington Convention Center! 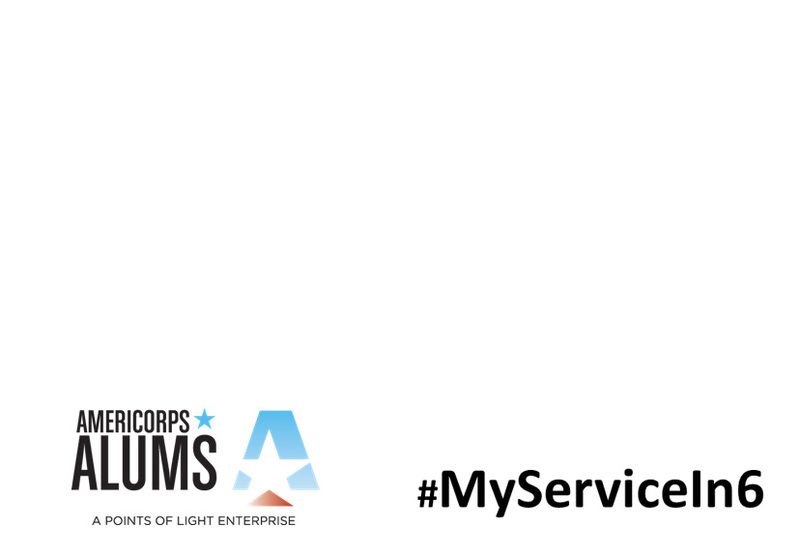 Right click to download the sign below and share your #MyServicein6 story!